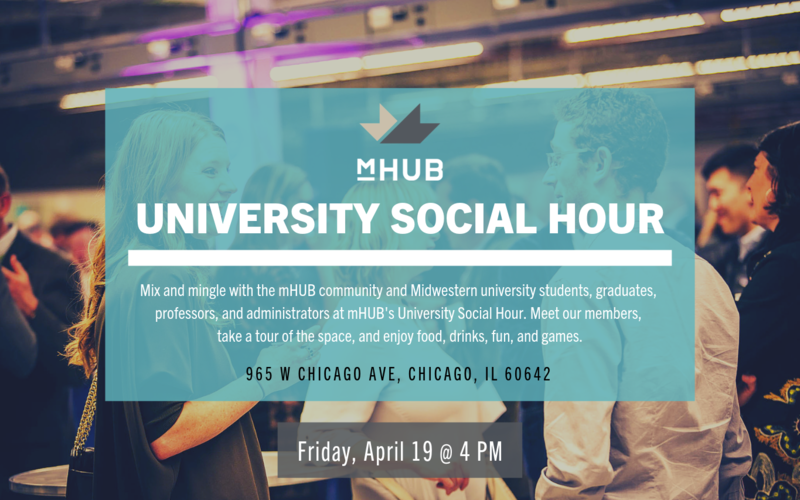 Mix and mingle with the mHUB community and university students, graduates, professors, and administrators from across the Midwest at mHUB's University Social Hour. Meet our members,take a tour of the space, and enjoy food, drinks, fun, and games. Hope to see you there!